Glaucoma: Glaucoma is the second leading cause of blindness. 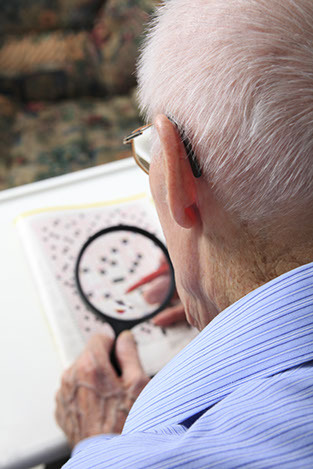 With glaucoma,portions of vision are lost over time, usually with no warning signs or symptoms prior to vision deterioration. 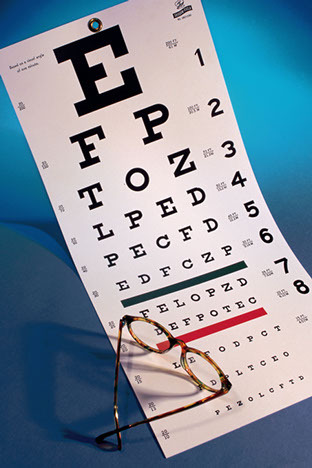 For many, a decrease in peripheral vision is the first sign of glaucoma. Increase contrast: Use a black ink gel or felt pen, not a ballpoint. Draw adark line where you need to sign. The American Association of the Deaf-Blind (AADB) is a nonprofit national consumer organization of, by, and for deaf-blind Americans and their supporters. They provide a database of state and local organizations andagencies serving that help deaf-blind persons achieve their maximum potential through increased independence, productivity, and integration into the community.